From the technical design to the final touches, everything’s under control. At Aluma3 we manufacture store fittings (we don’t subcontract). We have our own manufacturing processes and plants, and highly specialised staff, which enable us to control each phase to make the end product totally faithful to the original idea. Shelves, displays, POS, backwalls, corners, stands, complete stores, promotional spaces, etc. We manufacture all kinds of mass-produced or made-to-measure in-store fittings. We have 4,000 m2 of our own facilities, with workshops for carpentry, electricity, metalwork, glazing, painting, lacquering, plastics, graphic production, signage, etc. 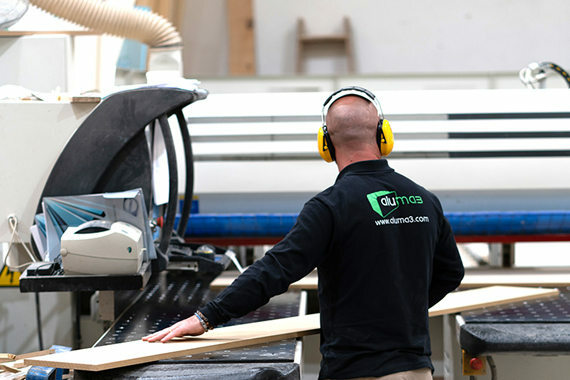 At Aluma3 we combine the versatility of materials, constant innovation and the application of the latest technologies in interior design to always offer the perfect sales solution to all our customers.